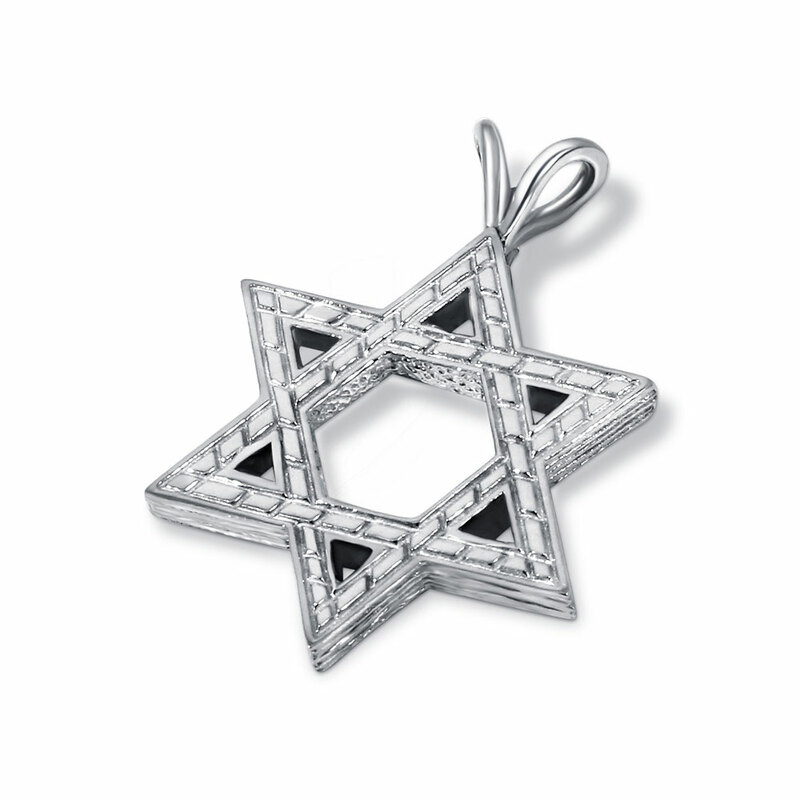 Hand crafted original Sterling Silver Star-of-David pendant. Measures 24mm H x 21mm W (.94 x .83 inch). Made in the USA. To add a chain along with this pendant see the options below.